Danielle Rueger has been interested in and making art since childhood. 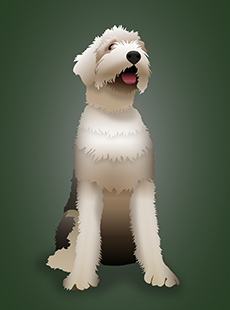 A graduate of Baldwin-Wallace and Kent State University, she enjoys working with a variety of media, including the challenging field of digital illustration. 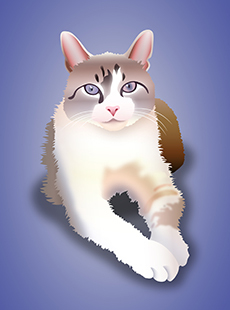 Her hand-drawn, digital illustrations emphasize the expressive qualities of each pet. Danielle’s digital illustrations are available in four sizes from 4″ x 6″ to 10″ x 12.” Each commissioned portrait takes about six to eight weeks to complete, and is completely original, based on the photograph that you provide. Artist signed. Order online, in the gallery, or via our brochure at participating animal welfare organizations, our sponsoring organizations, and local veterinarians. Orders may be picked up at Heights Arts; shipping is unavailable at this time.